In this historic Olympia DVD presentation, we have gathered together our rare and mostly previously unseen Olympia segments that were shot on super 8 film in the Golden 70s. 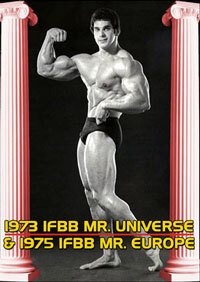 As each segment seemed too short to release at the time, nothing happened till we obtained the wonderful and fantastic quality 20 minute film from the 1979 Mr. Olympia. This shows Frank Zane in his all time best condition defeating Mike Mentzer to win the Overall 1979 Mr. Olympia crown in Columbus Ohio. These are not complete Olympias but consists of the only known footage shot on film at these famous contests. All of the 3 1979 contests are exceptional quality. 1971 Olympia footage from Paris is short but extremely rare and does include the 2 guest posers Sergio and Franco. 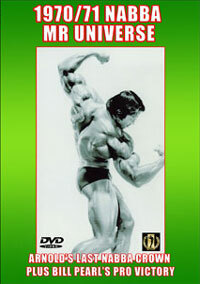 In 1974 see the titanc battle between old rivals Arnold and Lou Ferrigno with Arnold coming out on top. In 1975 in South Africa it was Arnold once again over Serge Nubret with Franco taking out the lighter class.Arnold retired after this contest. 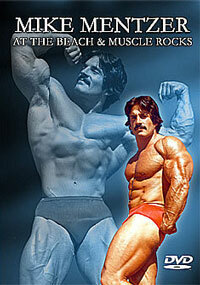 1979 it was back in Columbus where Frank Zane took the overall title from Heavyweight Class winner Mike Mentzer. 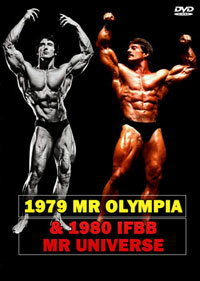 Cameraman Joel Fletcher concentrated in particular on Frank Zane in this contest. It is an absolute feast of posing for Zane fans and an ideal way to study the master posing style of Fank Zane - the master poser. Some of this old film footage has had the colour deteriorate with time. However the bodies we show portray priceless images of our past great champions of the sport. 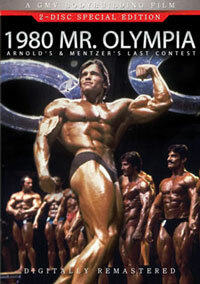 This is a Legends of the Olympias of the 70s DVD. Shot on super 8 film and digitally transferred to DVD with copyright free music added. All 1979 footage shot by Joel Fletcher and licensed to GMV Productions. All other footage courtesy Wayne Gallasch. Special thanks to Frank Zane. 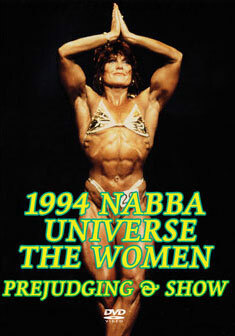 Arnold Schwarzenegger was the only competitor.